Siri Paye, offers a carefree weekend adventure, away from the stressful day to day routine. 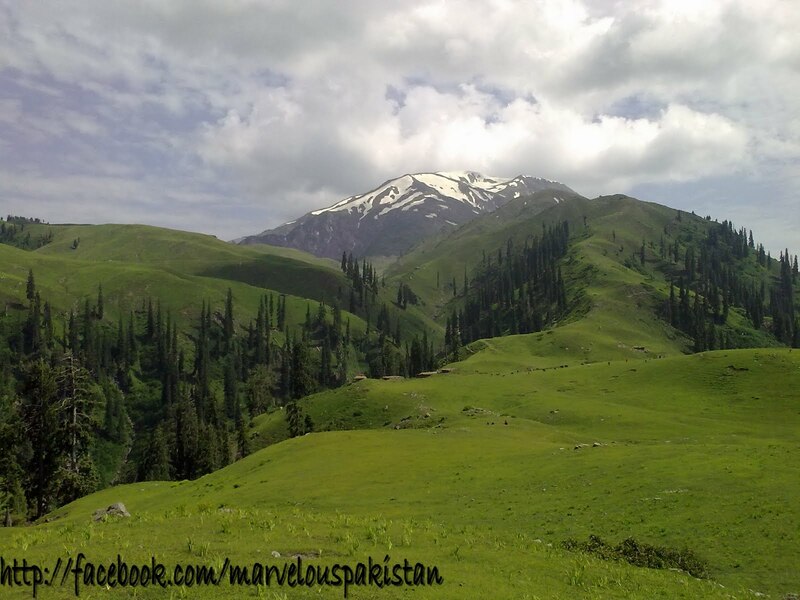 Visiting this magnificent vale in summer carries promise of a cool and fresh weather coupled with a warm welcome from the local people. It is a enchanting hideout with fabulous treks and bountiful thrills of walk in the valley. 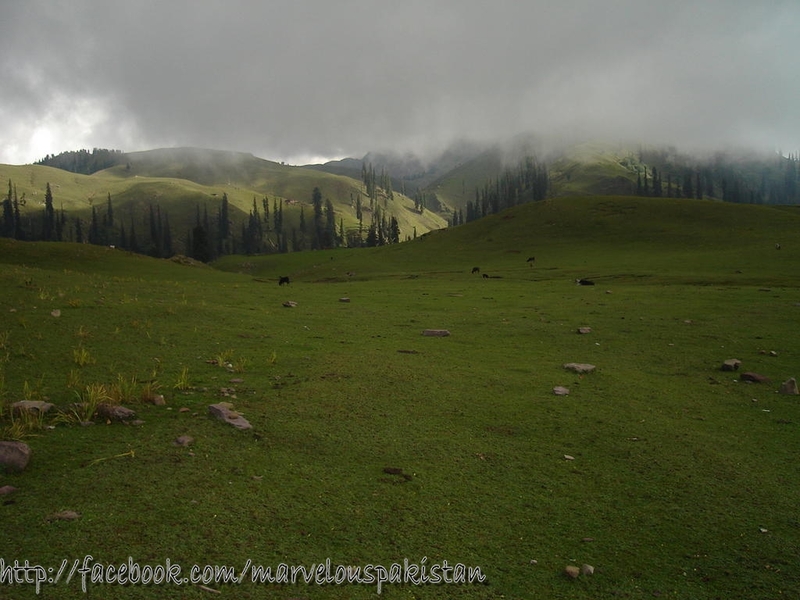 Siri Paye is a Hill Top, 6 km from Shogran, which is only 10 km from Kiwai village and 34 km from Balakot. The road from Islamabad to Kiwai is metalled and measures 212 km. 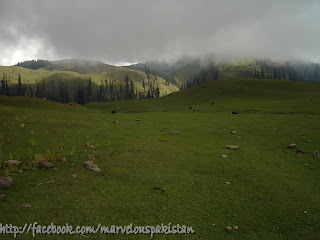 From Shogran, you can ride a jeep or horse or hike to Siri Paye, at a height of 3,000m or 10,000ft. 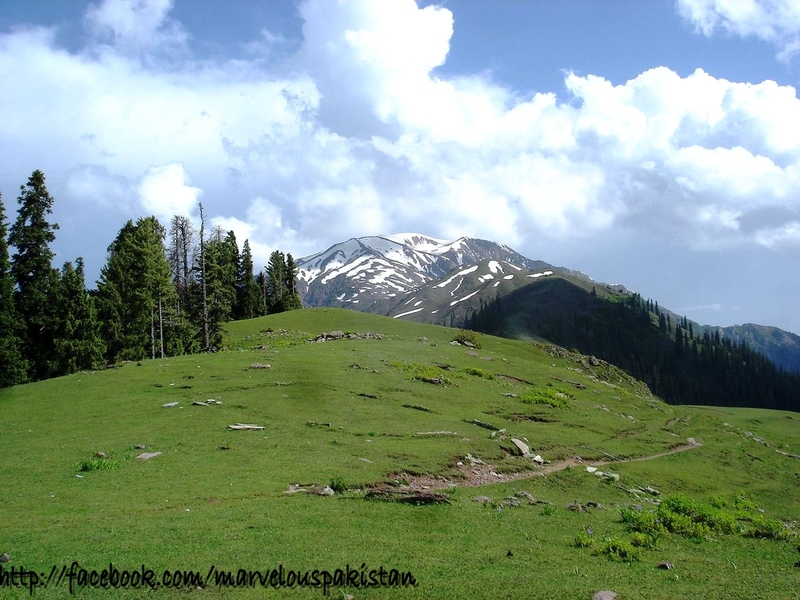 Reach there either by hiring a four wheel jeep trailing over a bumpy road or just trek. The patch is full of adventure and fun. However some turns are enough to raise your hair but once you reach Siri Paye, you are truly rewarded after a blood curdling journey as you catch the most fascinating glimpses of domed, lush green hillocks. 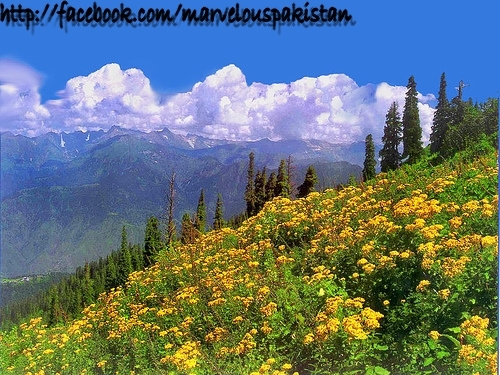 Most of the year time the peak is covered with snow and is accessible only in summers. In Spring meadows of Siri Paye are covered with beautiful yellow and purple flowers which adds more beauty to this place. Siri Paye itself is a queer—rather funny name. Literally in English it would be “Head and Feet”. Locals have many myths coined to assign an origin to this name. 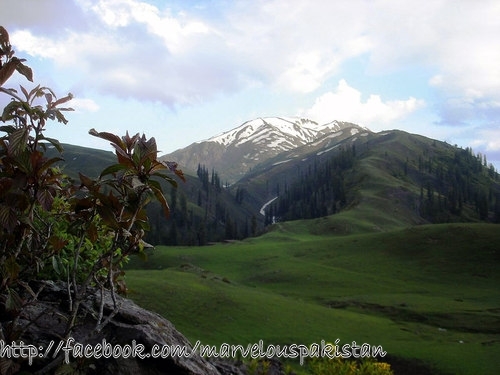 One says “Siri” was a Hindu lady who fell in love with Paye and this Paye the legendary hero of our story lived somewhere on the meadows called Paye, thus the name. Another story going around the valley says, a lion (or for that matter, a mythical force) lifted goat of a villager and ate it at some place with “Siri” and “Paye” of the goat left stinking at two nearby mounds. A beautiful lake is located in the Siri Paye Called Paye Lake. 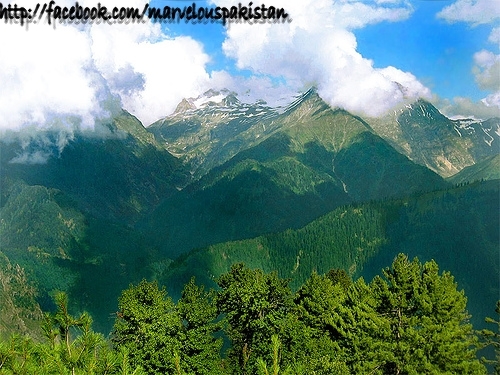 The lake is surrounded by mighty mountains like Makra Peak, Moosa da Musalla, mountains of Kashmir and Malika Parbat. This lake is also called Siri Lake. A stamp has also been issued on the Payee Lake. Siri Paye has a rest house too, but its verandah displays enchanting views on all four sides. 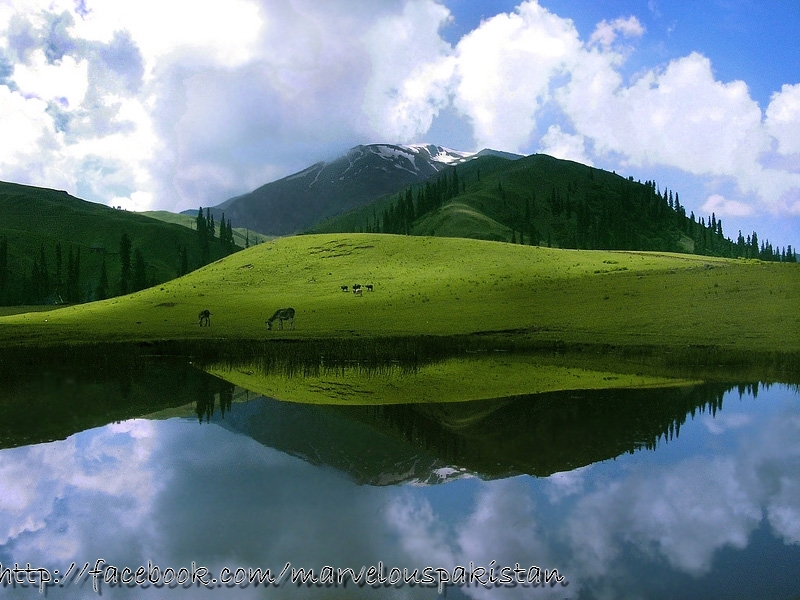 Nonetheless, place’s irresistible appeal emanates from its small yet majestic, serene and frozen blue water lake. 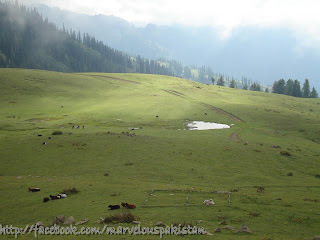 Its sheer beauty lies in surrounding green pastures, grazing cattle, gradual slopes and thatched houses. Pakistan is such a wonderful place all we need is show the brighter side of it, i have found a useful link: https://thechukar.com/punjab where lot of tourist related information is available.